You’d need the fingers of two hands to count the times Alfa Romeo’s return to the US market has been postponed. Just this June Chrysler Group and FIAT CEO Sergio Marchionne said, without committing to a date, that not only will it happen but that the car is to be built in the US! 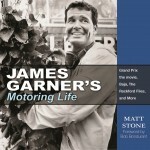 “The car” will be the 4C, a smaller version of this book’s 8C cover car. Even if it really does happen this time, it won’t be until late 2013. 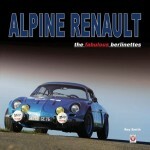 Meanwhile, US Alfisti will have to salivate over books. This 100th anniversary book is indeed full of eye candy old and new. It always helps to know who’s behind a book in order to properly assess its merits but this one offers no enlightenment. It has no named author or a foreword or introduction explaining its purpose and genesis, thus condemning the reviewer to guesswork—which may well be off the mark. 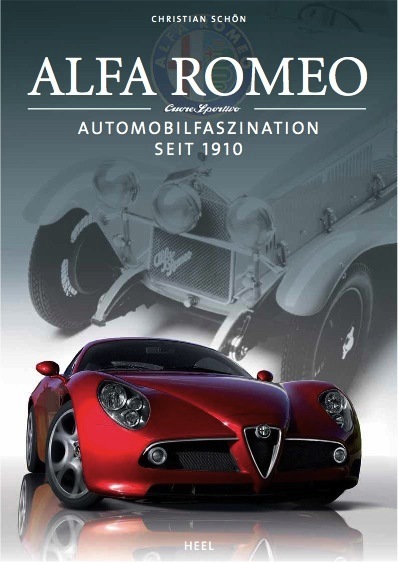 What we do know is that the book was first published in 2010—the actual anniversary year—by German publisher Heel (Alfa Romeo: Automobilfaszination seit 1910). Their press release did name an author, Christian Schön, and even showed his name on the book cover but it is not used on the actual printed book nor listed as the copyright holder on the CIP page. 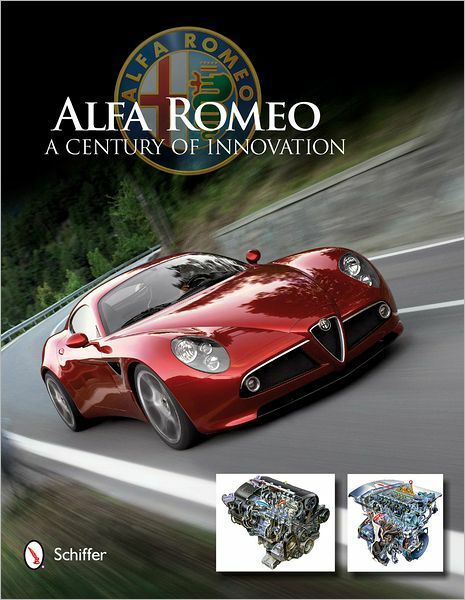 We also know that Schön has written several Alfa and other automotive model histories and yearbooks and translated an Alfa engine book into German (Jim Kartalamakis’ absolutely essential Alfa Romeo DOHC Engine High-Performance Manual, ISBN 978-1845840198). All these are for Heel. Schön’s 2005 Alfa Romeo Limousinen (not available in English) was in terms of historical balance a rather uneven account and in parts so superficial and uncritical that one wondered if it hadn’t been a PR exercise for/by Alfa Romeo. This new book almost makes that same first impression but once you probe deeper, you’ll find it has depth to probe. 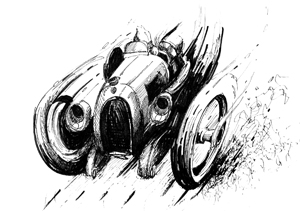 Divided into three principal eras it too treats the early cars all too briefly (1910–39 = 27 pp., 1940–86 = 48 pp., 1987–2010 = 50 pp.). Moreover, the first two sections devote ten of their already few pages to—very nice—one-page mini bios of people who played a prominent role in Alfa’s history. The concept of “innovation” alluded to in the subtitle is only explored inasmuch as it applies to automobiles. 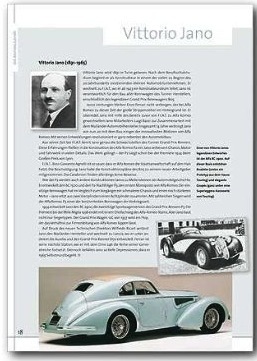 While there is a sidebar on buses, trucks and the Jeep-like AR51, there is only passing reference to company founder Nicola Romeo’s early work on tractors and tunneling/mining or the WW I-related aero, munitions, and railway projects/products or the modern-era Alfa Avio aircraft division. That said, the reader who simply wants to have a glimpse at who’s behind today’s distinctive and delectable cars without the tedium of historic minutia is well served. 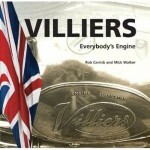 In fact, anyone aspiring to Alfa ownership really should read this book! 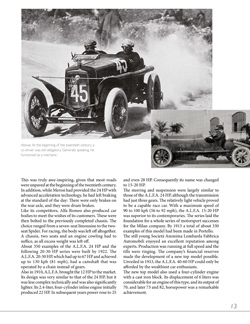 It manages to cram a lot into a mere 136 pages, even giving a good account of Alfa’s glorious competition history (Mille Miglia, Le Mans, WSC, touring cars, CART engines, the March-Alfa). Some of the sidebars venture into peripheral aspects one wouldn’t expect in this sort of book, cf. the Alfa-Nissan relationship or the diesel engine. Others cover four 1991–2003 concept cars, the history of the logo, a really clever series of sketches illustrating the changes to the iconic Alfa grille, and obviously there’s a timeline. While an Alfisti would spot even on a quick thumb-through that not all models are shown in photos, the lack of an Index hides that some models (cf. GTV6, Milano) receive inexplicably minimal text coverage. A good number of the photos (also several color exploded drawings) are probably from Alfa’s archives, all perfectly nice and suited to the text. Another quantity of photos show cars with German license plates which one assumes to be privately owned, most attractive to the reader who has already internalized the entire existing literature. Among the gems here is a rear ¾ shot of all four generations of Spiders, all basically the same color, providing a quick understanding of the different tail treatments. The translation is obviously done by someone (David Johnston) who speaks English as a native and also “cars”—no peculiar technical jargon or stilted, Italianate English. This book will not tell you everything but it will surely whet your appetite and is very nicely presented—and not at all expensive! « Why Has America Stopped Inventing?